The scene in Montagu St around 4.30pm today. CREWS from the New Norfolk Fire Brigade are at the scene of an incident at the Bush Inn Hotel in Montagu St, New Norfolk. A chimney fire is believed to be the problem. 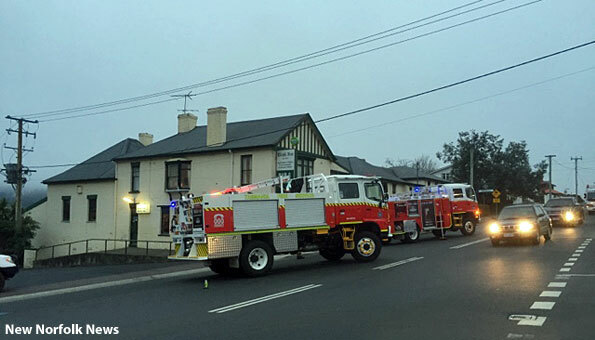 The incident was reported shortly before 4.30pm when smoke was observed on the roof of the 190-year-old hotel. UPDATE: A snorkel unit was brought in from Hobart before the incident was closed just before 6pm. The problem was confirmed to have been a chimney fire.